Household Infrastructure Part 3: Time for New Water Heater? When should you get water heater repair, and when should you replace it? Water heaters are considered ‘durable goods.’ This means that they may cost a bit to purchase, but they last for years or even decades. If you have an older model that is at least fifteen years old, instead of fixing it, you may wish to call a plumber in to replace your water heater. Why? Well, times have changed. As the years have passed since the last time you purchased a water heater, technology has also advanced significantly. In keeping with federal environmental regulations, a lot of water heaters have to be Energy Star compliant. This means that they use a lot less electricity than earlier water heater models do. And this will help you save money on your electric bill. If you install a new water heater, it may make a significant difference each month. What if You Want to Repair Your Water Heater? This is a judgment call. As a new water heater can cost a bit, sometimes deciding to repair your water heater is a better option. There comes a point, however, where you have to weigh what needs to be done upon how reliable it is. Nothing lasts forever, after all. You may find that replacement is a better option particularly if the water heater repair is going to cost more. Use your best judgment on this as well as knowing what works with your budget. 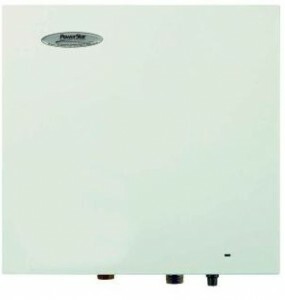 If it is time to get a new water heater, another option that is rapidly gaining popularity is a tankless water heater. Why would you want to go tankless? Well, for one thing, you can have a limitless supply of hot water. Since a tankless water heater doesn’t have a tank, it takes up surprisingly little space. Most units are little bigger than twelve inches, with only a 4.5 inch depth to work with. In older parts of the world, like Europe, they have largely become the norm, and they are a great idea particularly if you don’t have a lot of space to work with. Your home is made of several components. You have electricity, natural gas, and of course running water. So keep up your home’s infrastructure, and start with your plumbing. Pur Plumbing Service is a plumber in New Port Richey, FL.